There are typically a number of thoughts that crowd a person’s head as they head toward divorce and starting over as a single person again. Things like deciding who will be the primary caregiver for the children or who keeps the family car compete with concerns about telling family members and friends about the impending end of the marriage, and can push out the practical concern of when and how to hire a divorce attorney. For some, hiring an attorney to handle a divorce may seem like an unnecessary expense, and they consider using online self-help centers as sufficient substitutes for a lawyer’s advice. In addition, it may appear that using an attorney will complicate an already strained situation, and make compromising on issues related to child custody, support, or property division more difficult, as it adds an extra layer to the negotiation process. However, there are real and important advantages to hiring an attorney that can make a big difference in the process and outcome of these cases. An overview of some of these advantages will be discussed below. Any divorce requires the couple to agree and compromise on big issues that are central to a person’s life, and having knowledge of the law in these areas can help shape the approach to negotiations. For example, Florida has a complex set of guidelines courts use to set child support, and the formula appears set in stone at the first glance. But, the court is permitted to deviate from the established guidelines in certain circumstances, and an experienced divorce attorney will know what facts to present in court to obtain such a departure. Further, having this information going into the process can affect how the parties decide parenting time, because the amount of support each parent is expected to provide is partially based on how much childcare each parent assumes. One key advantage a lawyer can offer a divorce client is an unbiased and objective perspective on the issues facing each couple. Emotions tend to run high in these cases because of the personal nature of the conflict, and that can influence how aggressively a person pushes for concession on a particular point or how quickly a person decides to settle. In either situation a lawyer can counsel a party on why such a tactic works to his/her disadvantage and offer another option that is more fair and closer to his/her goal. While online self-help websites can give someone a template to use to file a divorce petition, that is just the beginning of the paperwork a divorce case generates. Further, there are specific rules on how and when submissions can be made to the court, and trying to navigate these procedures can quickly become overwhelming. One form that is particularly complex and is filed at the beginning of a divorce case is the financial affidavit. First, there are two versions of this form, and a person must choose which is applicable to them. Additionally, these forms ask for a lot of detailed financial information and include terms that many non-lawyers would have a hard time understanding. A divorce lawyer understands the information the court is seeking, and will know what documents the party need to gather in order to complete the form. Finally, a divorce attorney can advise clients on alternatives to a traditional judge-driven divorce case that may work better for their situation. 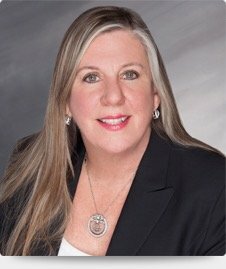 Florida just passed a new law establishing a collaborative law process in family law cases that allows parties to access a voluntary non-adversarial process to resolve disputes that preserves the parties’ relationship and reduces the financial and emotional toll that comes with many divorce cases. In addition, there is also mediation, another procedure that aims to amicably solve disagreements and promote healthy communication. Getting a divorce lawyer may seem like an unnecessary hassle, but they can offer critical advice and serve as a buffer between you and your spouse. The Fort Lauderdale law firm of Joyce A. Julian, P.A. has years of experience representing clients in these matters, and can help you receive a fair outcome. Contact the office for a free consultation.